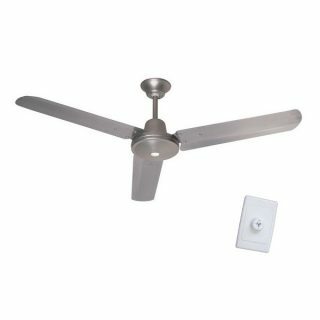 Builder Ceiling Fan by Airmate - Stainless Steel 48"
The Builder is a modern ceiling fan with 3 blades and a total blade span of 48″. 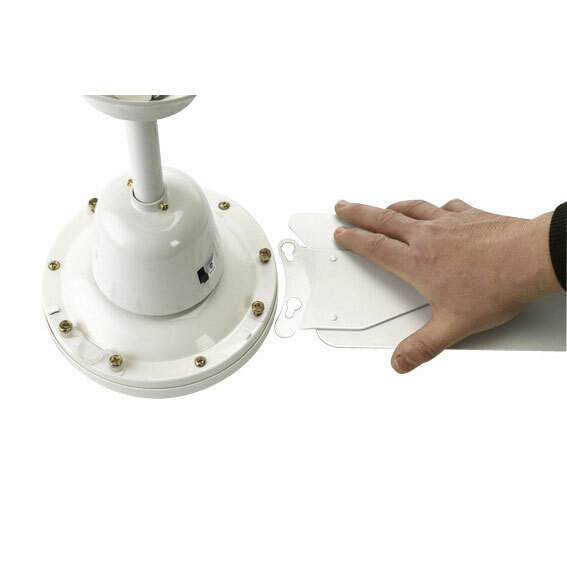 This Builder fan by Airmate has a 65W motor built with sealed bearings for both longevity and reduced noise. This fan will be the perfect feature of any modern interior and ideal for use in most bedrooms, living, dining and recreational areas and comes with a three speed wall control. This 48″ model comes is available in white and stainless steel. This ceiling fan by Airmate comes with a 3 year in home warranty. CONDITIONS APPLY. Airmate: This fan comes with a 3 year in home warranty. Conditions Apply.